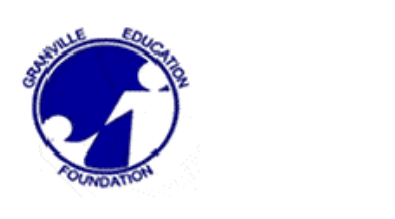 The Granville Education Foundation, Inc. The Granville Education Foundation is a non-profit, community-based organizationworking to improve the quality of education for all students in Granville County. The Foundation is independent of the Granville County Schools but works in collaboration with the schools and with business and community partners to provide funds to enrich and enhance the educational opportunities provided by the schools. The success of public schools is dependent on the support of the public. The Granville Education Foundation is guided by a volunteer board comprised of business and community leaders who recognize the importance of a quality education for today's students - tomorrow's leaders. All people in the community, whether they have children in the public schools or not, can play a part in the success of our students. To enhance student performance by providing resources and enrichment programs in partnership with the community and Granville County Schools.